Number pad in the lower console... press numbers 1 through 6. Gotta look down to see which number I'm hitting, then going to the next. 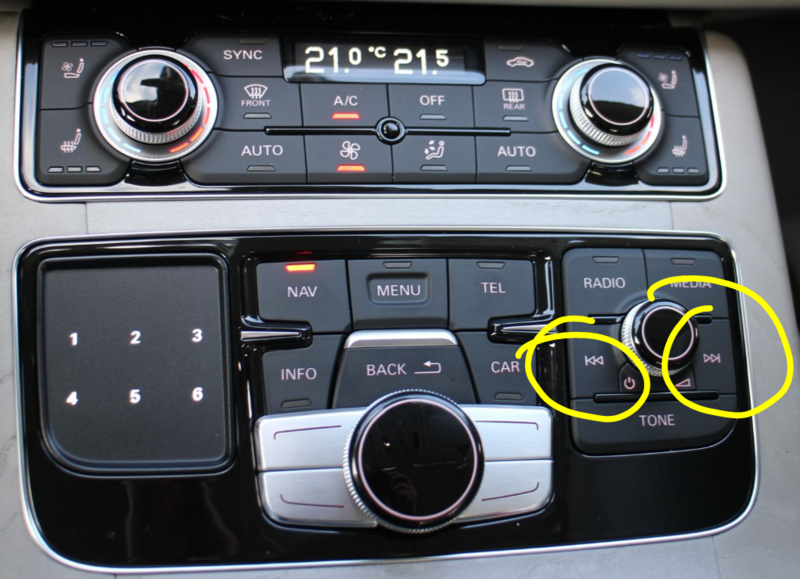 Change the screen to the radio and scroll presets. I generally leave the map up. With the wheel on the steering wheel, change to the entertainment section, hit the menu and change to presets, then scroll and select. Attack the newb, attack the newb!!! Maybe I need to restate my earlier question regarding radio presets.